Contact us today to find out more about our moving and storage service in Surrey. As a trusted provider of removals and storage for domestic and commercial customers in Surrey and surrounding areas, at Watsons Removals Surrey, we understand the importance of getting your items from A to B in complete safety. Depending on timings, we realize that a key element in secure transportation is offering storage locations, allowing your items to be held in a safe spot for a period of time. 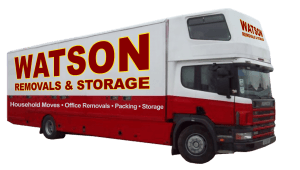 For this reason, Watson Removals Surrey provide a range of storage solutions across the county of Surrey, ensuring that whatever type of items you are transporting, you can rely on a secure storage point for as long as you need one. We possess decades of experience in the removals sector, for both private residential and high profile commercial clients. Many of our customers require storage in Surrey which fits into the packing, moving and unpacking process. This could involve holding items for days, weeks or months, but whatever your requirements, you can rely on the expertise of the team at Watson Removals Surrey. We will handle your goods with the utmost of care, adhering to our own stringent best practices in order to ensure that they are free from the risk of damage or misplacement. Using the latest packing techniques, you can be sure that any fragile goods which require special attention will be packed, moved and stored in boxes or crates which are designed to completely protect their integrity. Whether that means the careful packing of items into our transportation vehicle or our warehouses, or special protection in the form of foam inserts or cushioning, while your goods are with us, you can enjoy the peace of mind which comes with knowing that they are in safe hands. 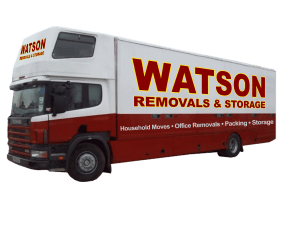 If you are looking for a removals and storage company which offers you a safe location to store goods on their way from one side of the country to the other, look no further than Watson Removals Surrey. Regardless of where your point of origin and final destination is within the UK, and if you are either moving home or planning an office relocation, we have storage options along the way which allows you to time your removals project to perfection. At Watson Removals Surrey, we stop at nothing in pursuit of the complete satisfaction of our customers. Our team of highly trained professionals has outstanding attention to detail and a focus on clear customer communication. To get your removals and storage plans underway, call us today on 01483 319255 for a free quote. We are one of the professional removal companies Surrey with many years experience in house removals, office removals, and storage. Friendly, Reliable House & Office Removals in Surrey. Full Packing & Unpacking Service. © Copyright 2019 Watson Removals Surrey. All rights reserved.